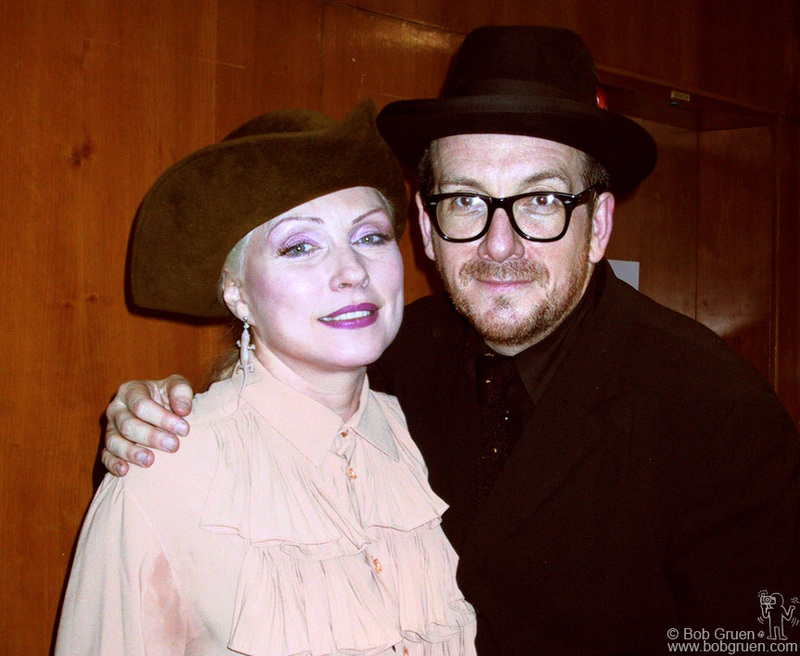 Elvis Costello and Blondie vocalist Debbie Harry featured in ‘Fire At Keaton’s Bar And Grill’, an experimental jazz event at the London Royal Festival Hall. The event formed part of the London Jazz Festival and took place on November 14, 2000. It is a concert story which tells the tale of a typical bar in which Harry is the bartender and Costello is the storyteller. Nov 14 - Debbie Harry & Elvis Costello - And all that jazz! Nov 14 – Debbie Harry & Elvis Costello – And all that jazz!